Here's a revelation that'll shock you all - Brian Fallon loves Bruce Springsteen. Ok, you probably knew that already, but the Gaslight Anthem turned Horrible Crowes frontman seems intent on making his admiration for The Boss more and more blatant with new album he releases. This isn't necessarily a bad thing, though. The 59 Sound was an Americana-tinged punk classic, while follow-up American Slang's more populist wanderings were no less rewarding, so it should come as no surprise that this first album in collaboration with friend Ian Perkins also proves a thoroughly fulfilling listen. As you might have gathered from that first paragraph, Springsteen's blueprint is stamped all over Elsie. In fact, the record never really strays too far from the sound Fallon has utilised so well in The Gaslight Anthem, but what is evident is that he's approaching things from a far softer and more considered perspective. Really, all this equates to is the stripping away of the punk grit, but this has left behind an album of wonderful heart-warming moments which further display Fallon's capabilities as a master-songwriter. You wont, for example, find many songs this year with a more comforting jangle than lead single 'Behold The Hurricane,' a spellbinding but reassuringly familiar rocker which proves an obvious highlight. What that song also proves, though, is that Fallon's compositions are continuing to reach for a broader audience, and that's no bad thing. 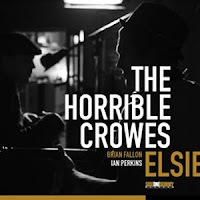 The Horrible Crowes will probably never spread outside his existing fanbase, yet it merely seems like a continuation of the path the frontman has been travelling down for a while now which ultimately seems destined for mass communication. The numerous bluesy numbers which litter the tracklist are further evidence of this, proving unashamedly accessible without ever sacrificing any of Fallon's usual heartfelt splendour. They're nothing awe-inspiring, just rock solid tracks which provide tantalising demonstrations of his growth while never quite following through in full. There are, however, fleeting moments scattered throughout the record which do deliver on this promise, 'Ladykiller' being chief among them. More melodic and tactful than any Gaslight Anthem song to date, you feel it could represent a glimpse into their future, and if it's anything to go by it'll be just as prosperous as their past. In fact, with Alex Rosamilia's leads added to the equation they should be able to come up with something even better, but that shouldn't hide what a crucial stepping-stone Elsie could be. It may not be listed under the Gaslight name, but the similarities are there for all to see, and as a result it seems like little more than a stop-gap release. 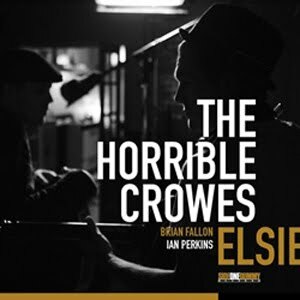 That's no bad thing, though, as The Horrible Crowes provides another medium through which Fallon can expand his pallet, and if this album is anything to go by his return with his main band could prove more spectacular than ever. You can stream Elsie here.